Prior joining Rotary, when I was 2001 Junior Chamber International (Jaycee) world vice president, S.M.I.L.E. (Sharing Motivation and Involvement through Leadership Experience) was my motto that has now accompanied me for many years. In my 12 years in Rotary, there have been many special moments that have been times of sharing involvement, passion and emotion, so at the end of the day, we all become stronger and wiser. 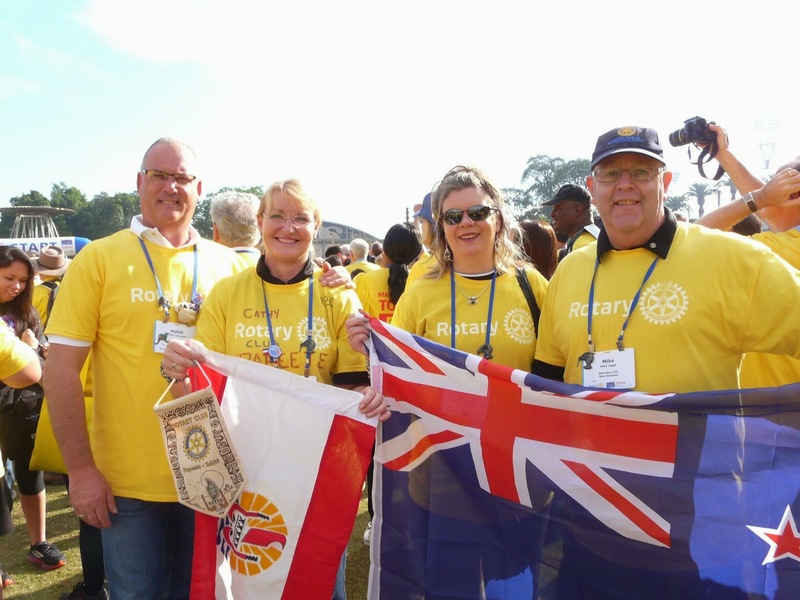 Everybody can live Rotary at the local level, but a Rotarian will truly experience the global picture of Rotary when experiencing the international dimension, so think globally and act locally. Whatever the background, culture, and language we share, let us nourish ourselves with ideas, projects and positive energies through exchanging with Rotarians from other countries. It is like an injection of dynamic energy! The very special Rotary moments for me, were when I started discovering Rotary outside the boundaries of my Rotary Club of Papeete-Tahiti, talking about projects, taking part in seminars, district conferences and Rotary International conventions. I am different each time I come back from a district conference, an international meeting or an international convention. You feel so humble and come back to your club richer with special Rotary friends and experiences you will treasure forever. I am fortunate to be part of Rotary District 9920 (the largest maritime district in the world that includes eight countries and the Rotary e-Club Francophone) which offer so many opportunities close to us. On a personal level, I am above all lucky to be married to Hugh, who is a former Jaycee and a new Australian Rotarian, to share the internationality of Rotary at his Rotary Club of Seymour, Vic (District 9790). These special Rotary moments embody the whole dimension of Rotary and enhance my pride of being a Rotarian.